There are two types of scheduler: public and personal. 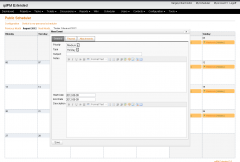 You can configure which users can access to public or personal scheduler and which user can just view or manage public scheduler. 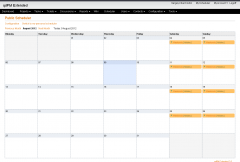 Using scheduler you can plan your activities as Events. An Event has a name, description, start/end date and attachment(s). 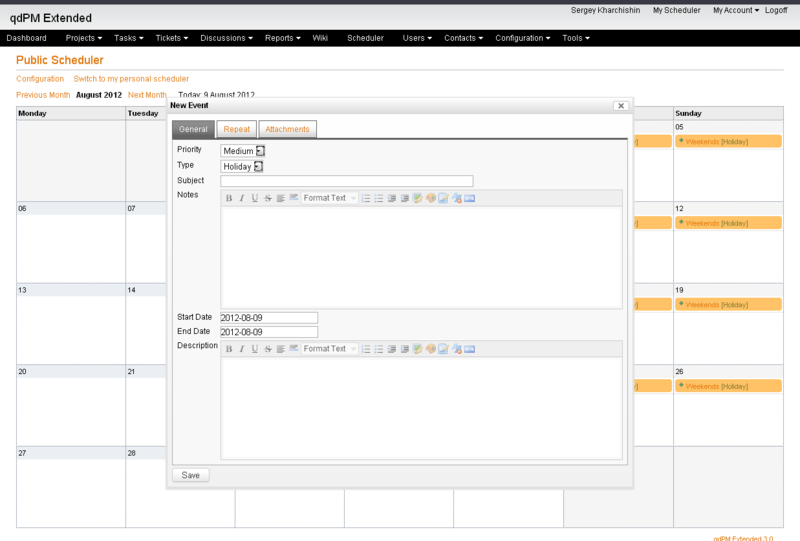 You can also configure Priority and Types for Events. Events can be recurring. 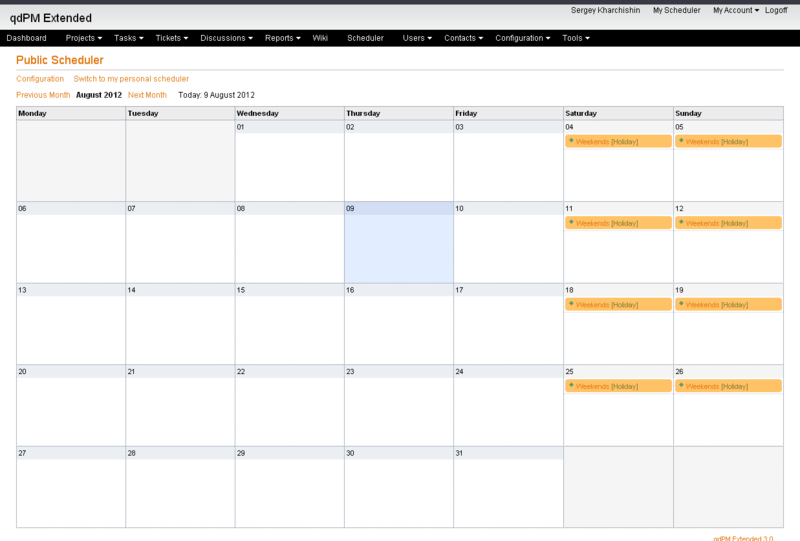 There is option where you can configure qdPM to display events on your dashboard. There is also scheduler reminder and you can get event notification by email.